Submissions Open At The Following Publishers! This is a quick update to let you know about a couple of publishers currently open to new submissions. Be sure to visit their sites for guidelines on the proper formats and procedures for sending in your work. Good luck! Harbourlight Books is a new publisher focusing on quality Christian fiction. They are open to completed manuscripts only at this time and plan to begin releasing books in fall 2011. Note the romance division of Harbourlight Books is a different address. Comfort Publishing is a general publisher open to fiction and non-fiction in a number of areas. They don't specifically ask for romance but they claim in their mission statement they publish books "that might otherwise remain unpublished." On the spicer side, do you have a manuscript that bends a traditional fairy tale in a different way? Victory Tales Press has limited openings for a new series called "Twisted Fairy Tales." Victory Tales is definitely a modern e-publisher with a different perspective and is open to almost all variations of the romance/erotica genres. Meanwhile, remember to visit my blog for writing life tips. And pick up a digital version of my new second edition of Writer Wellness, A Writer's Path to Health and Creativity at the publisher's site. 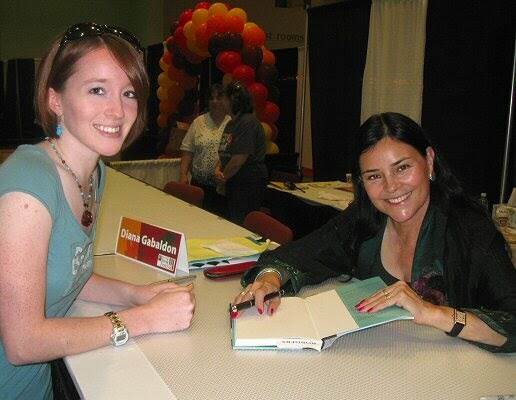 In October, I attended a presentation by Diana Gabaldon, the author of the bestselling Outlander series. The presentation took place at the Charleston Civic Center as part of the 2010 West Virginia Book Festival. Gabaldon shared her insights into how she wrote her first novel and established her career as a novelist. What I found most interesting was her writing process, her experience writing a series, and her advice to aspiring authors. Gabaldon started writing her novel Outlander to practice writing and to see if she enjoyed writing a novel. What surprised me was that she did not start her novel knowing exactly what it would be about. In fact, Gabaldon picked a setting and worked her plot and characters around it. She knew she wanted to write about Scotland in the 18th century, so she went to the library to research that time and place. Gabaldon also knew that stories needed conflict. When she stumbled upon information about the Jacobite rising of 1745, she decided to work her plot around that historical conflict. At this point, Gabaldon had found her novel's setting and conflict. She joked that she also wanted many handsome scotsmen in her novel, but she recognized that the story needed a woman to "add sexual tension and balance genders." So, she created a protagonist named Claire, then noticed that Claire "took over plot and told the story." 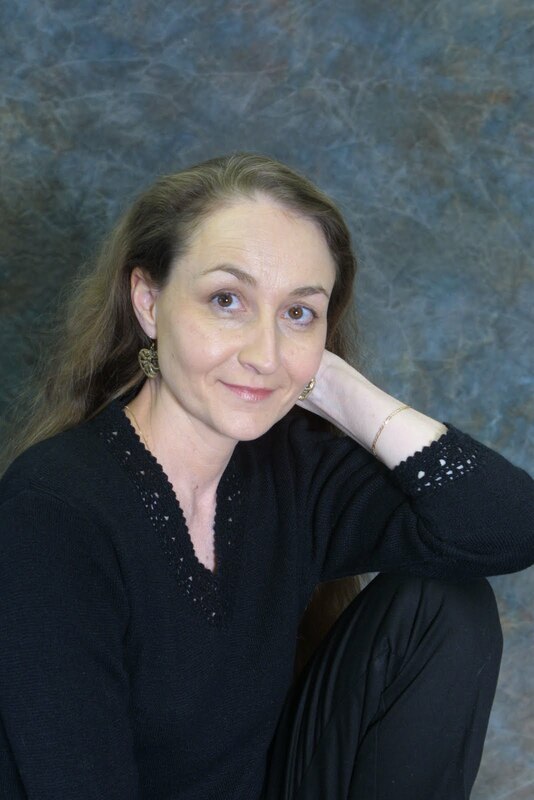 From there, Gabaldon used the setting, conflict, and characters to develop her novel. She did the latter in a peculiar way as well: she wrote the scenes out of order as they came to her, rather than writing the story from beginning to end. The way Gabaldon experiments with her writing process shows how writers who want to write can carve out a novel from as little as one element. Perhaps we can jumpstart our creativity by focusing on whatever elements we have (setting, plot, characters) and then linking those elements to others. Or perhaps we can complete the scenes we know we want in our story and, by doing so, discover subplots or hidden characters in our story. Gabaldon also explained how she structured the Outlander series itself. First, she mentioned the value of cliffhangers. A fan once noted that one of her novels "wrapped up everything so neatly," and she joked, "Well, see if I do that again!" Cliffhangers give readers an incentive to buy the next novel in the series by either leaving part of a conflict unresolved or by introducing a new conflict. Gabaldon wraps up several plotlines in her novels but always leaves an unresolved or new conflict to keep her readers hooked. Another topic Gabaldon discussed was the shape of her books. She explained how stories have shapes; for example, the shape of her novel Outlander includes three triangles whose peaks represent the plot's emotional climaxes. We can come up with ideas by plotting the shapes of our own stories. A peak too early might suggest that the rest of the story will drag without any more climaxes. To fix this, add a subplot or two to build complexity. On the other hand, a long climb to a peak might suggest that the story will drag unless a few minor climaxes occur beforehand. We can also "plot" multiple characters to see where we could add minor conflicts to the overall story's structure. After describing her writing process and the structure of her series, Gabaldon gave the audience advice. First, read everything so you can find out which subjects and writing techniques you like (and which ones you dislike). For example, I never knew I loved economics until I took a course in it. If you find a subject you enjoy, find out more about it, and if you like an author's writing technique, try it out yourself. Second, write to get your ideas down on paper and to practice writing. Writing down ideas gives you material to work with and completes a major step in the writing process. Also, writing shows you what writing methods work best for you. And third, don't stop writing. It takes effort to start writing down ideas, and once you lose that momentum, you will probably struggle to pick it up again. Writing constantly will keep that momentum going and can even accelerate it by keeping your work fresh in your mind. I hope Diana Gabaldon's experience and advice gives you ideas to work with in your own writing. If you want to know more about Diana Gabaldon and her work, visit her website. Writers write. Writers should write something everyday. Yes, seven days a week and something besides checks made out to the electric company. But where do the time, the energy, and the ideas come from? Believe it or not, it's a self-perpetuating cycle. The more you write, the more you have to write. 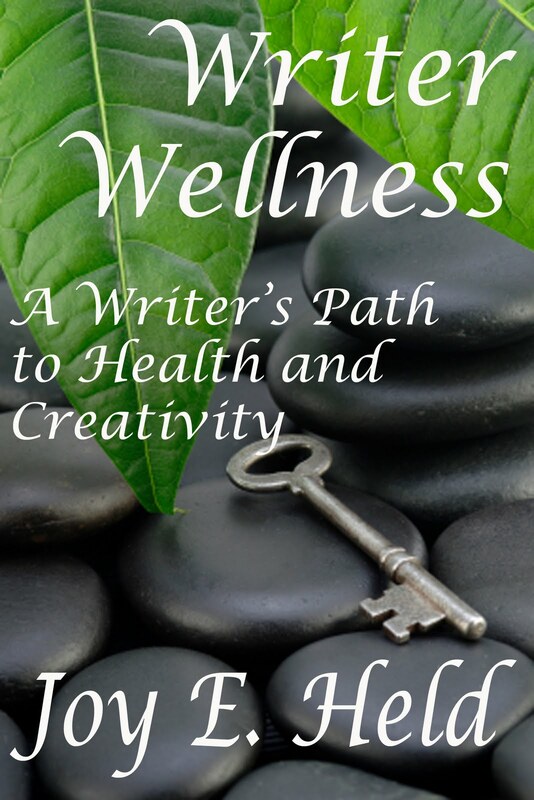 In my book Writer Wellness, A Writer's Path to Health and Creativity, I describe writing to be a muscle. And like the other muscles in our bodies, the writing muscle needs to be exercised and kept in tip-top shape. The writing muscle is kept well toned only by writing. The more we write, the better shape our writing muscle is and the more we have to write. See? Self-perpetuation cycle. What counts for writing exercise? I keep my own writing muscle in shape by journaling almost everyday of the week, writing several blog posts a week, and writing book reviews for several online sites. And yes, I still have plenty of time, energy, and ideas for my historical romance novel in progress. The key is discipline and not going overboard with what you have to say in any one area. It also helps with learning key fiction elements such as pacing, passive voice, and RUE (Resisting the Urge to Explain.) My writing muscle is warmed-up by the blogs, reviews, and journal entries I write. It's in those playing fields I am able to watch myself change and progress as a writer. This blog post today is a good example. Let me explain. Writing blogs, journal entries, and book reviews for several years have taught me to get to the point with what I'm writing in my fiction. The reader wants to know what's important first, not after a six or seven adverbial phrase describing every bat of the character's eyes before they utter a word. What the character is doing is integral, but when two people are in the same room and on the same page, they need to be talking to keep the pace of the pages turning for the reader. I have also learned not to repeat what the character says with something we at IFW like to call "narrator intrusion." Which is what I just did. I just told you something, then intruded on your thought processes by telling you what I just told you. In this fast paced world of ebooks readers want to know and get on with it. Don't stall them. They will put your book down for good. What do you say in a blog? My good writing friend Kristen Lamb, author of We Are Not Alone, The Writer's Guide to Social Media is currently doing a fab series on what, why, and how to blog. You will not regret subscribing to Kristen's blog. Take my word for it. Because blogging is not only about getting the word out about you as a writer, it's most importantly about creating community. Another change in the publishing world. Blog. It's eventually good for your writing in sooooo many ways. Writing book reviews keeps my writing muscle toned because it forces me to read and analyze as a reader, writer, and editor. That's everything I am after mom, cook, laundress, etc. ugh... Anyway, book reviews aren't exactly easy to write and the format calls for a strictly limited number of words. Again, the practice keeps my fiction writing lean and well paced. Because of reading books and writing reviews, I can almost instantly spot a mistake in my own work because my writing muscle is in tune. By the way. Look at the top of the book review site and click on the button Review for Us and get started! Journaling is something I've talked about at length in the archives of this blog and my own site for Writer Wellness. Visit and subscribe by clicking on the "subscribe" button at the top and get email alerts when I've posted a new blog! See? Community! Meanwhile, remember to look for a digital or print copy of Writer Wellness, A Writer’s Path to Health and Creativity at Who Dares Wins Publishing, http://whodareswinspublishing.com/. And check out these great blogs for ideas to keep your writing and publishing healthy and prosperous. http://inspiration4writers.blogspot.com/ Inspiration for Writers, Inc. Copyright 2011 Joy Held. All rights reserved. Have a story about an animal? Want to win a FREE 1,500 word edit as well as some other goodies from Inspiration for Writers, Inc., including a tote bag and some writing supplies? Enter our FREE writing contest. This month’s theme is amazing animals. Submit your story up to 1,000 words to IFWeditors@gmail.com with an e-mail title of “Animal Writing Contest Entry” by March 31. Also in the email text, please give us your name, email address, and snail mail address (yes, we keep these confidential), AND, please let us know if we have permission to print your entry, your first name, and your city/state or nation in a future blog or newsletter column. We will send a "we received your entry" email to all entrants, so if you don't get one, email again or call Sandy at 304-428-1218 during regular business hours (M-F 9-5 Eastern time). Our editors will judge the entries on content, creativity, writing style, and writing craft. The winner will receive a prize package that includes a FREE 1,500 word edit from one of our renowned editors (a $45 value! ), an Inspiration for Writers duffle bag, a GHOSTWRITERS tote bag, and other miscellaneous goodies. Now, get writing! It is hard to pick the biggest lie that I have ever told because there are two that I really benefited from as a parent. The first lie was that our vacuum cleaner had the ability to pick up not only small items from the floor but big ones as well. So when my children were younger and refused to pick up, all I had to do was bring out the vacuum cleaner. I would plug it in, turn it on and at the whirring sound my children would scream and run around like crazy picking them up. They believed this lie for several years. My other lie was that moms have eyes in the back of their head. When I originally said that, I meant it as a joke but my daughter who was about five years old took it quite literally so I thought I might as well take advantage of it. I would continue to remind her throughout the years that I could see everything. One day when she was about nine years old she came up to me with this sort of scared look on her face. I asked her what was wrong and very seriously, with a sort of tremor to her voice she asked, "Mom, when will my eyes begin to grow in the back of my head?" She must have figured that it happens to females and she wanted to know when to expect it. The sad thing is she really, really believed this but I couldn't help but laugh when she asked. It was then I confessed the truth to her. Needless to say she wasn't very happy with me. But somehow I have a feeling she will use my lies when she becomes a mother.